There must be something in the Nordic air. 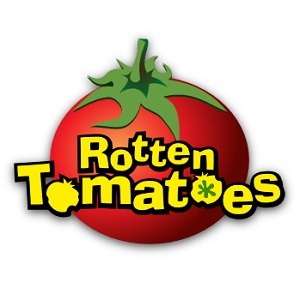 The filmmakers of this region seem to have a talent for dry, satirical - and often dark - comedies that is totally unique. In a 2015 BBC article titled "Is Nordic humour too dark for the rest of the world?" their trademark style is given the name "gálgahúmor", which means gallows humour in English. Among his peers, Ruben Östlund is a leading proprietor of this subgenre, notably breaking out with his award-winning 2014 film "Force Majeure", which has already been set for a Hollywood remake. His latest will undoubtedly be a harder sell for North American audiences, with an even stronger Swedish sensibility despite its inclusion of American and British actors. Nevertheless, Östlund has truly outdone himself with "The Square", delivering a delicious, hearty slice of absurdist cinema. While "Force Majeure" focused on the emasculation of a "man's man" in the wake of a single split-second decision, Östlund takes things to a whole new level with this new protagonist. Similarly confident, handsome and even more influential, Christian (Claes Bang) is the chief curator of a prestigious art museum in Sweden. Always looking to push boundaries with his exhibitions, he is working on a new project called The Square, described as "a sanctuary of trust and caring." But as Christian organizes the concept and marketing of this new artwork, a series of misfortunes challenge his own belief in the ideals of the project. Beginning with a robbery of his phone and wallet, he begins to lose control of his life as angry pre-teens, pushy women and homeless beggars alike gradually cut him down to size. The darkly comic style of "The Square" is distinctly Swedish, but the storytelling is all Ruben Östlund. As the film satirizes the art world, Ostlund displays his boyish sense of mischief, his immaculate directorial eye and his knack for crafting hilariously awkward situations out of human interactions that would otherwise seem banal in real life. Indeed, masculinity has rarely been as fragile as it is in Östlund's films. With a narrative structure reminiscent of Roy Andersson, the film puts Christian through essentially a series of skits which are alternately thought-provoking, shocking or delightfully cringeworthy in their awkwardness. Or sometimes all at once. With all due respect to Claes Bang's excellent performance though, Östlund is truly the star of "The Square". For a film about a man that is losing control of his life, the direction and screenwriting shows an auteur who is in total command of his voice. He never wastes a single frame, whether it be a morbidly funny sight gag or a moment of vulnerability for his lead character. Furthermore, the unexpected humor he generates from simple scenarios could only have come from the mind of a comic genius and perceptive humanist. Indeed, underneath the gut-busting laughs is a rather scathing examination of the apathy and prejudice of the upper class. Ultimately, this masterful film becomes not just a satire of the modern art world, but of life itself and its endless absurdities. 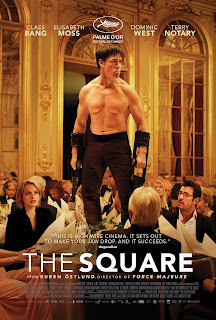 Good to see the review of The square.I was searching some good movie to watch with my friends,now I am thinking to watch it in this weekend.